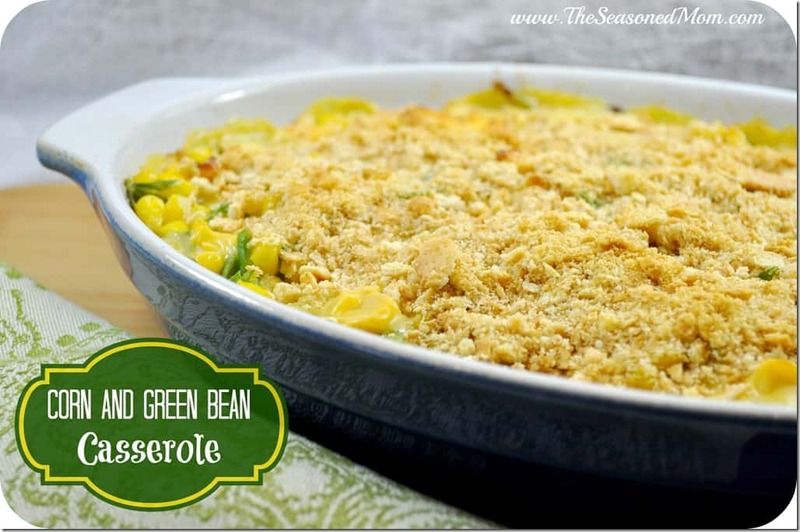 This Corn and Green Bean Casserole is a great way to get your kids to eat their veggies! 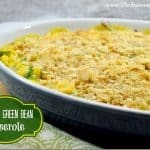 After all, who doesn’t love some cheese stirred into a casserole that is topped off with a buttery, crunchy topping? This dish is easy enough to throw together on a weeknight, but it’s also delicious enough to serve on a holiday table. In the summer, when corn and green beans are in season, it’s best to use them straight from the farmer’s market. However, the frozen versions work perfectly in this recipe at any other time of year. This is definitely a family favorite! Spray a medium baking dish with cooking spray. In a large bowl, combine beans, corn, onion, soup and diced cheese. Place mixture in prepared baking dish and top with crushed crackers.